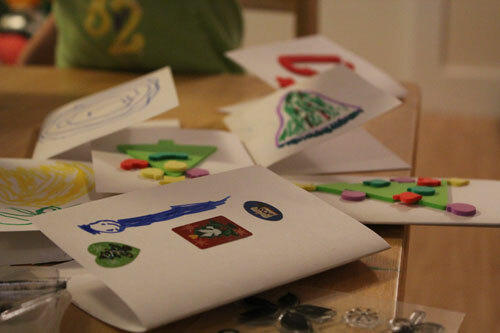 To combat Christmas business we have been finding quiet time to make cards and gifts. Daisy has been set up with blank cards, stamps, stickers, markers and asked to create cards for friends at daycare. This request has been met with an enthusiastic burst of creativity. 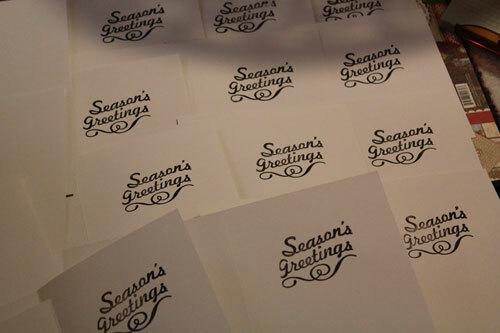 I was working on our family Christmas cards (yes they will be late!) while Daisy worked away beside me. 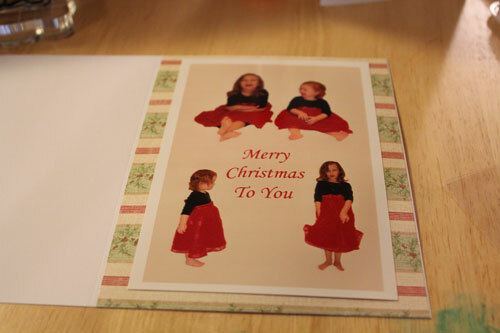 The 2 flowers in red, a photo on scrap booking paper on a blank card. Luckily I like things simple. Her sense of pride for creating these cards is infectious. 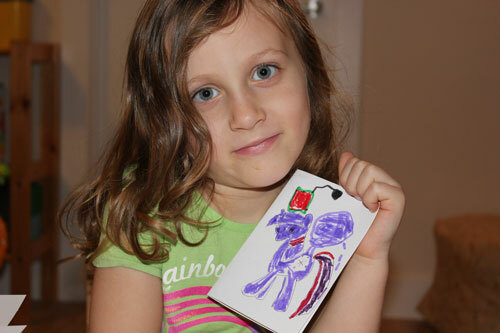 Rose joined in when she woke up from her nap and used bingo markers to decorate Christmas trees on her cards. 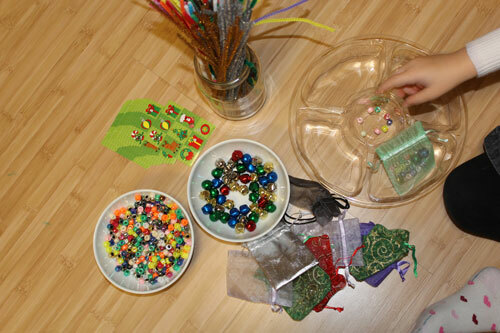 We enjoyed making tree ornaments from very simple materials. 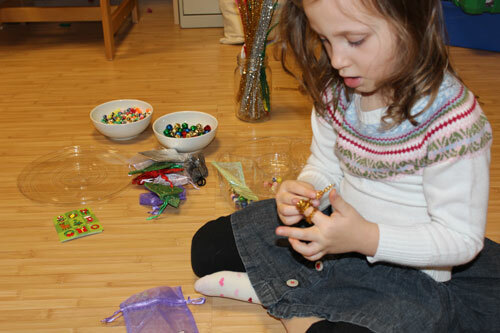 For friends Daisy made a kit containing beads, bells and a glitter stem put into a gift bag. I seem to have collected far too many! These we added to a candy cane and the card. Now her friends can make an ornament for their tree at home. I enjoyed reading a post from Cheryl’s Child Care Blog today about giving children ownership of their decorating. While I loved stylized trees before I had kids, I now love seeing huge pom pom decorations, random pipe cleaners bent into strange shapes and coloured circles of card adorning our tree. Themes trees are over rated! Here Daisy is counting and sorting and bagging. A little sneaky math thrown in.